Bustling with activity during the summer months, Rock is just as lovely out of season, ideal for a solitary beach walk before curling up in front of the fire.  Puffin is light and airy, designed to the highest standard. The open plan living area leads out on to a balcony ideal for relaxing with the papers or an early evening drink. Captains is ambient, spacious and inviting. The open plan living area opens on to a balcony which provides the perfect viewing platform for sunset across the estuary. Gull House has a contemporary feel due to its open plan living space. 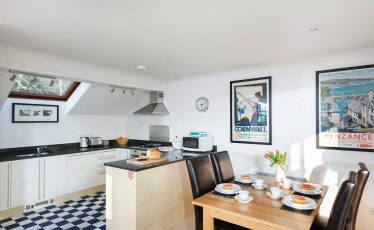 You cannot help but be drawn to the balcony with its unique perspective of the fishing port of Padstow. The Old Customs House is a luxury period property and the ultimate in coastal chic. 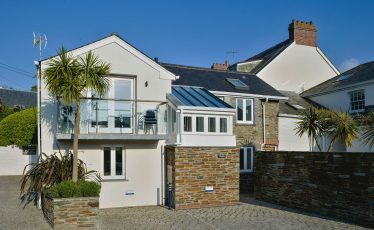 Located right on the slipway with stunning views of the estuary you will find it hard to leave. Stylish and comfortable, it is the largest of our properties and one of the oldest buildings in Rock. Port is located at the end of the terrace and is spread over three floors. 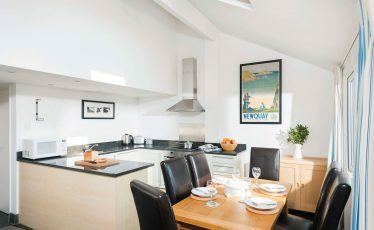 Complete with cosy bedrooms and a light and airy living space it is quintessentially Cornish. 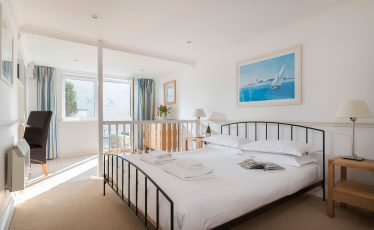 Heron is the perfect Cornish bolthole, ideal for families or a romantic break for two. 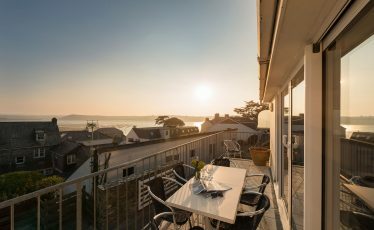 Situated on a hill, Heron takes advantage of the stunning views across to Padstow. Anchor House is situated between Captains and Port with a similar layout. Its contemporary design and large open living area mean there is plenty of space to relax. Check in at 4.30pm and check out is at 10.00am. We will send you a code to the safe containing the house keys upon paying final deposit. Each property has its own designated parking space. 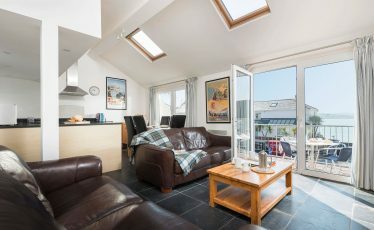 All our properties are dog friendly as our location is the ideal place to bring a dog with coastal footpaths and a vast beach in Rock. Transport links are within half an hour’s drive – Newquay airport, Bodmin Parkway. There is a Helicopter Pad located along Rock Road. Food shopping can be delivered to the properties. We recommend two taxi firms in the area: M J Taxis tel 07915 169902 and Pityme Taxi tel 01208 862212 / 07792 633150. Wi-Fi – We are situated in a rural area, broadband is not as reliable as it is in the cities. We can not guarantee the Wi-Fi/ Broadband connection at all times. If Broadband is essential to you during your stay, we recommend that you bring your own access (dongle).